Has anyone ever made you feel like you were not good enough to do something you KNEW in your heart you were destined to do? Did their words hold you back from your dream? 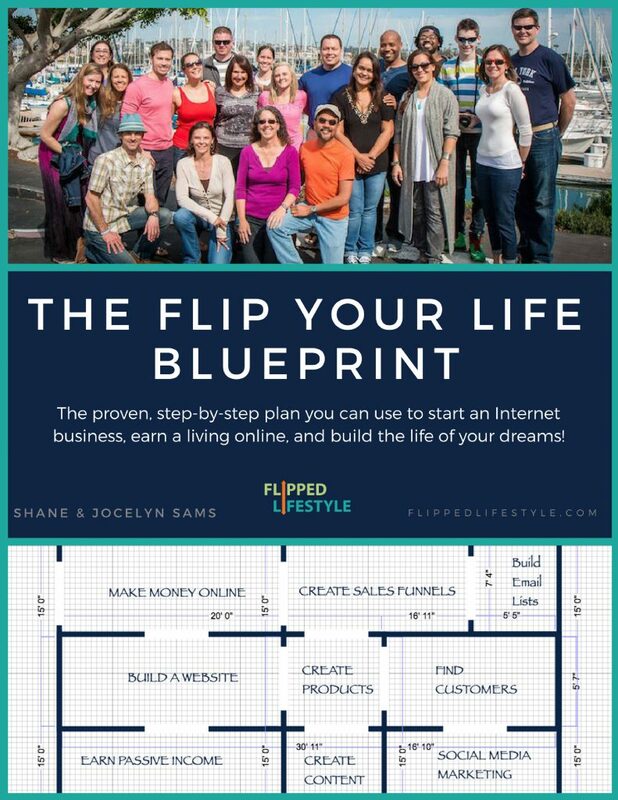 When Jocelyn and I launched the Flipped Lifestyle Podcast in 2014, people started recognizing us at live events and conferences we attended. 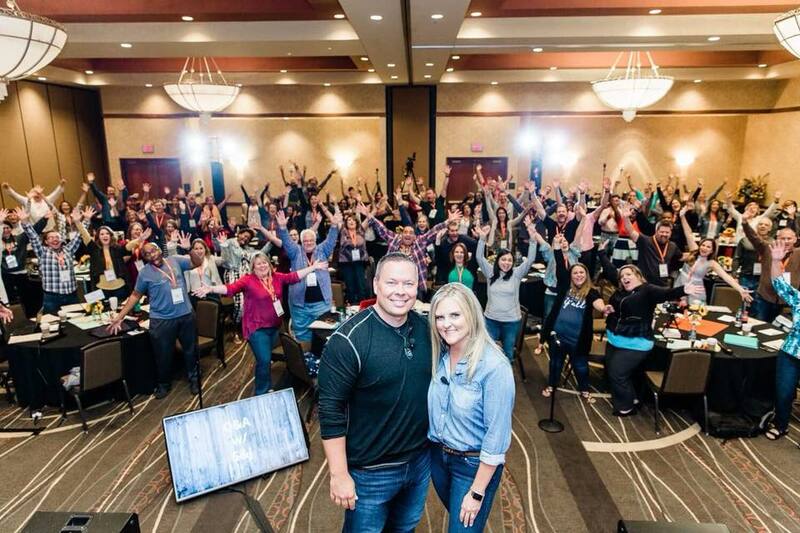 We didn’t think much about speaking, until something crazy happened at one of these live event we attended. Jocelyn and I were looking forward to this event. It was going to be the highest level event we’d been to at the time (and was definitely the most expensive). It had a great slate of speakers, and we were ready to pick up some tips to grow our business. When we got there, to our surprise, half the room already knew who we were. This particular live event was a working conference. Speakers took the stage all morning, and in the afternoon there were scheduled masterminds to ask the speakers questions and take action on their advice. During these mastermind sessions, each speaker had their own table to work with attendees. Each table had a sign with the name of the speaker, so you could pick who you wanted to work with first. There were some major online personalities in the room. 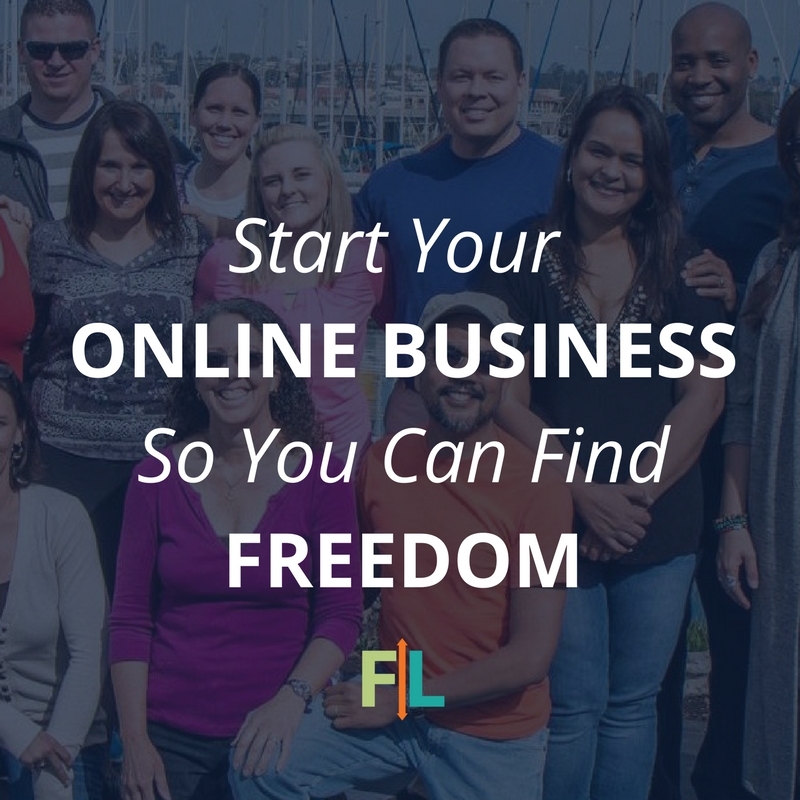 People like Lewis Howes, James Schramko, Darren Rowse, and John Lee Dumas were available to help people with their businesses. When we walked into the room, we were ready to grab a spot at one of their tables and see what we could learn. We spent our time during that session answering their questions, encouraging them to take action, and celebrating their successes. Many of the people at that table took action, and built thriving businesses based on our advice after the event. The event organizer took notice. 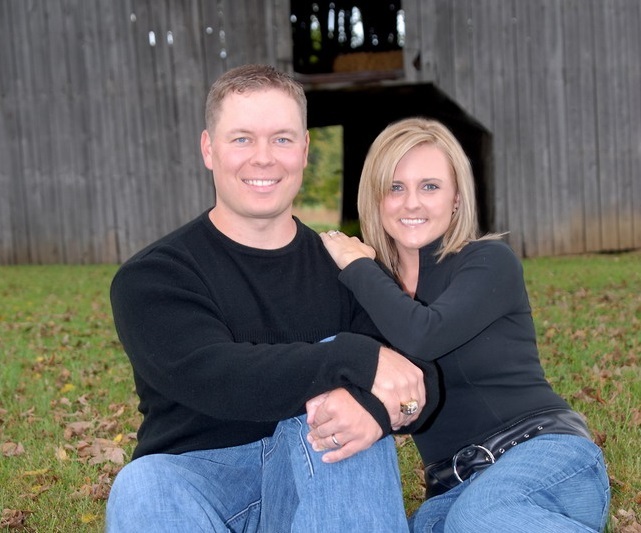 One day before dinner, he privately asked us if we would like to speak at next year’s event. And what better way to get our message of hope and freedom out there than on stage at a live event?!? We went home dreaming about speaking at the conference next year, and how we would prepare for the opportunity. A few days later, I woke up and made my coffee, opened my computer, and checked my email. A message from the event organizer was at the top of the list. It was none of those. Instead, it was a slap in the face. I was mad, but Jocelyn was livid. She’s a sweet Southern Belle, but you do NOT want to make Jocelyn Sams angry. She was ready to book a flight, just to land and slap some sense into somebody. “What does ‘real speakers’ mean? Like the real speakers they had booked at this year’s event? The ones people passed by just to sit at our table?” She said. We were already financially more successful than half of the people speaking at that year’s event anyway? Yet they were on stage, and we were not…maybe they had something we didn’t. Keeping it real y’all; the rejection hurt. We got down on ourselves. Maybe we were not good enough. Maybe we were fooling ourselves. Maybe we didn’t belong on their stage (or any stage for that matter). After a long discussion we decided to keep going, and look for some speaking opportunities. Maybe we could become “real” speakers eventually. So we prepared talks. Reached out to our network. Practiced, and started applying for speaking opportunities. We applied for Fin Con … rejected. We applied for two other large conferences … rejected. rejected. We applied for one conference after another. Known conferences and unknown conferences. It was always the same: rejected rejected rejected rejected. But we couldn’t get on a single stage anywhere in the world. Maybe we didn’t know the right people. Maybe we were not running in the right circles. Or maybe, we just were not good enough. For a quick minute, we doubted ourselves, our mission, our worth, and even our goals. Then we did what we always do. We ignored what the world was telling us we couldn’t do, and decided to go and do it anyway! If we couldn’t get speaking opportunities from others, we’d just have to create those opportunities ourselves! So we launched the event last January and nearly sold it out in a single week. 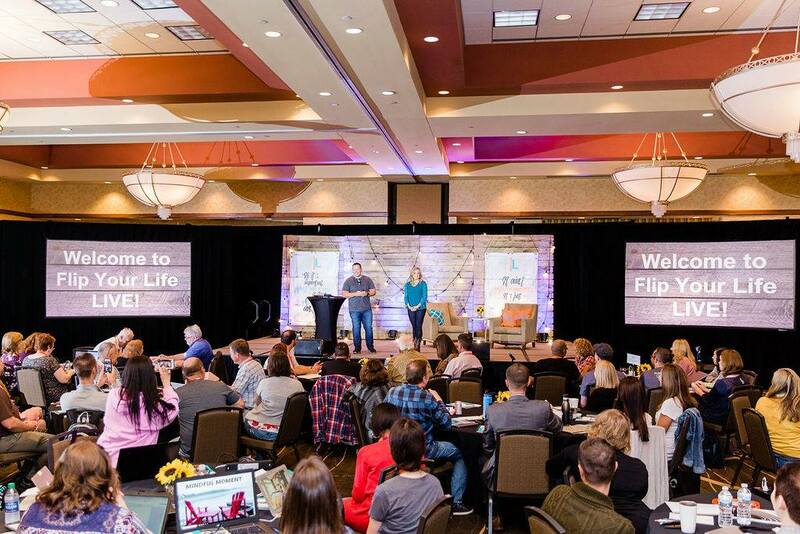 Two weeks ago we hosted our first major event: Flip Your Life LIVE in Nashville! 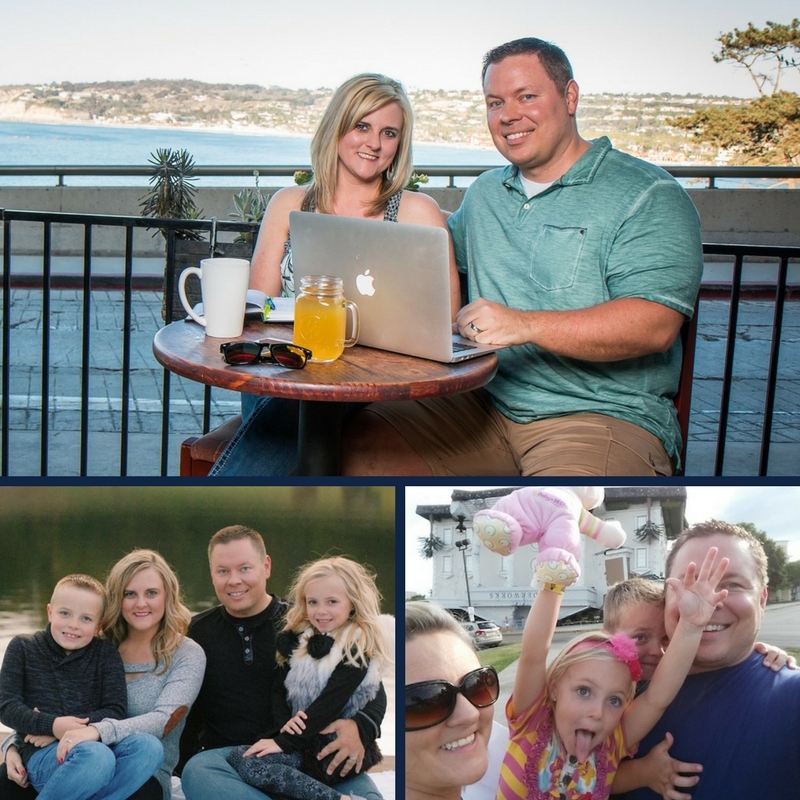 Over 110 family-focused entrepreneurs from over 30 U.S. States and 5 Different Countries attended. Jocelyn and I took the stage and delivered every presentation, answered every question, and just like Jocelyn said, we carried the show all by ourselves for three days! It was a roaring success, with nearly 100% positive feedback. And we had more people in attendance than that first event we were were not “real” or “successful” enough to speak at a few years ago! So many people think the gurus and experts have it all figured out, or that they hold the keys to success. Don’t waste time begging those experts for those keys.They don’t have them. They just want you to THINK they do, to stroke their egos, and in some ways, to hold you back. You don’t need them to tell you that you are good enough. YOU all already have everything you need to be successful within and by yourself! You hold the key. Not them. You don’t need them to make you “real” or affirm your success. You are more than capable of doing anything you set your mind to doing. Nothing can stop you if you just take action and do the work! If you run into a gatekeeper, crash through the gate! If you run into a naysayer, prove them wrong!